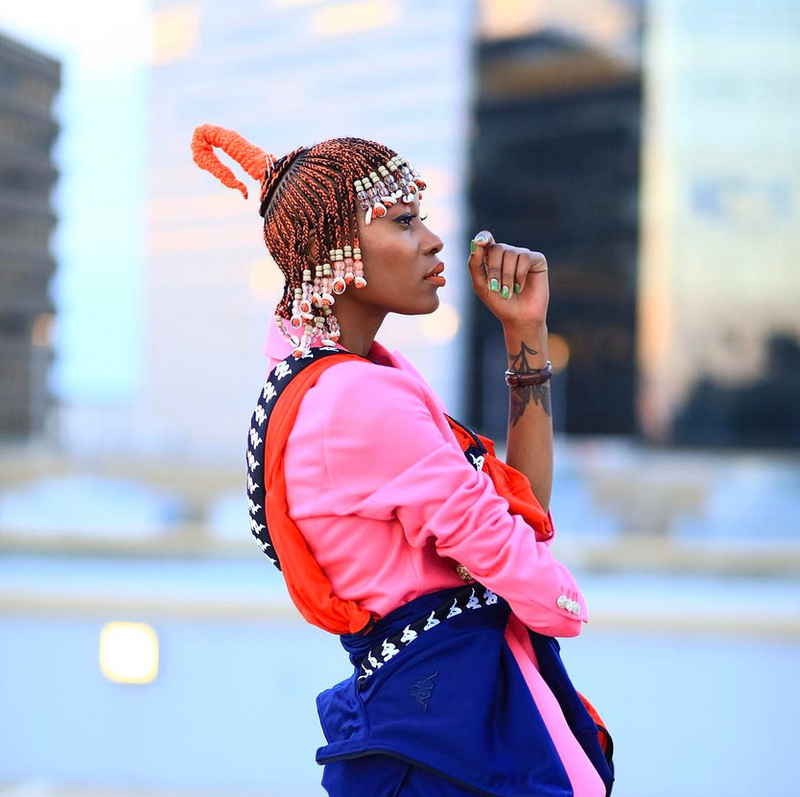 Kwena Baloyi is an eccentric leader with a powerful presence and easily one of the best dressed people on the internet. 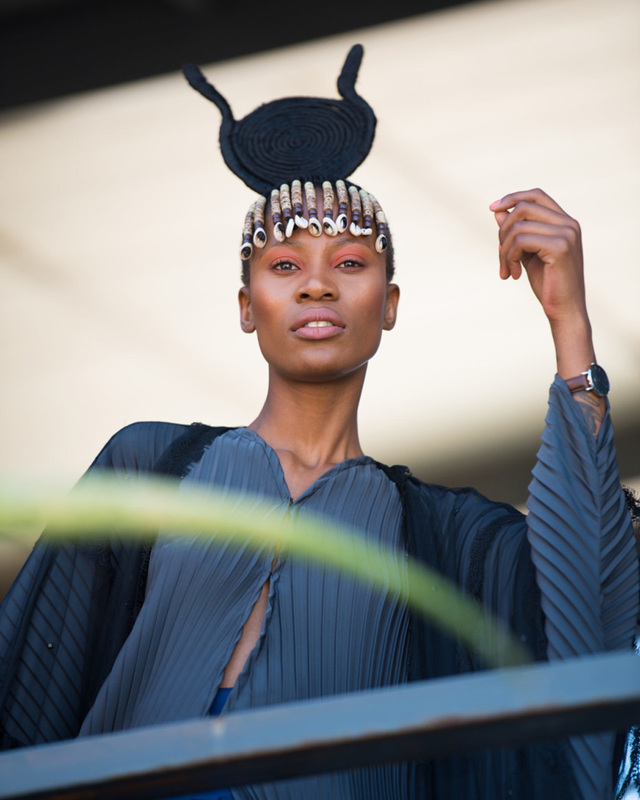 Within a few short years, the self-made style therapist and culture curator has established herself firmly in the South African fashion scene, and formed strategic networks spanning the continent: from Dakar to Nairobi, Marrakech to Kigali. She can also be spotted at a European city near you without notice. 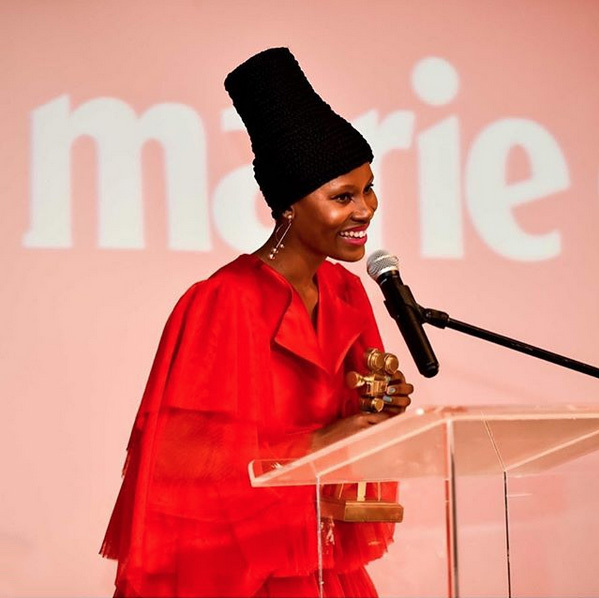 GRIOT meets the 2018 Marie Claire (SA) new guard stylist honoree to chat about her personal journey, her mission to shape the future of beauty & fashion in Africa and her aspirations of supporting young women in their diverse beauty journeys. 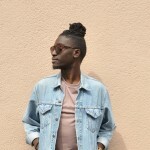 GRIOT: How did you get into fashion, and when did you start seeking and finding meaning in fashion? 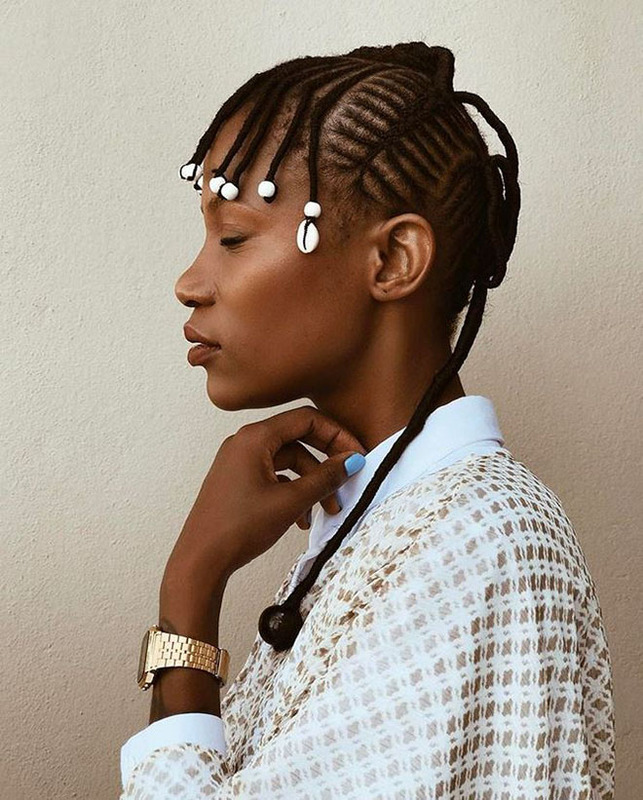 Kwena Baloyi: When I was 14-15 we would go visit my grandmother, and my uncles from my mom’s side of the family in Johannesburg would be having a drink, talking about how they looked which I found very interesting, I also used to look at people in my village who would wear very nice things effortlessly, and I wondered where they got the stuff. They were not really expensive, but there was effort in the combination of colours and the way they were put together. I asked an uncle of mine why they adore how they look so much and he told me it was their way of fighting what they were going through. “You don’t want to show everyone that you don’t have money or show a woman that you can’t afford a date”, he told me. For my uncles, if you looked good you would be respected by your peers and by women. They took me through the details: from the shining of the shoes to the belt and the glasses, chains, watches etc. I was impressed. Clothes can change your perspective on life, clothes can change your mood. It’s these little things that showed me that clothes aren’t just clothes. You can create your own language and win battles with them. If people bully you, show up looking good and you’ll see, they will invite you to sit with them. How about hair? How has your hair journey been? Growing up in Limpopo, we used to straighten our hair for church. My mom’s friend used to work for a family in town who would give her hair chemicals that she would bring home and use to do people’s hair. My sister once used the chemicals to do her hair for a wedding and it all fell into the water. She had a bad scar because the chemicals were very harsh and were used incorrectly. But despite these accidents, we continued using them. My mom never told us what to do though. If you wanted to straighten your hair you could. Combs terrified me so I always had my hair straightened out. Although mine wasn’t as sensitive as my sister’s, when I woke up one morning it was drying up my scalp. At that point I was put off, so I let my hair be. My mom said I had a beautiful, small head so I should just shave it off. So for most of my schooling years I had short hair. After Grade 12 I moved to Cape Town where I learned about growth, money, life, wine and boys. But there was pressure to look like a “woman” and I even had long nails and a weave…or was it a wig? We can’t be told how to look like as women. So I took a risk of looking the way I wanted to, just to see people’s reactions. I went natural and at some point I felt uncomfortable in some working spaces in Cape Town, so I moved to Johannesburg which I felt was more accommodative. I’ve had braids, even dreadlocks at some point. What inspired me to begin experimenting with eccentric hairstyles is that many years ago, my mom stopped doing her hair because her employer said it wasn’t nice, that she should cover it or cut it short. They called it weird and funny. How “funny” can hair really be? My mom got rid of her hair against her own will. I told her that I’d start doing my hair all the ways she was allowed to. She found the idea weird but I went through with it to show those who silenced her that it was not okay, it was not funny. I wanted to reclaim the things we used to do, the things which empowered us and made us proud and confident. Now some people in the creative industry are scared to approach me because, apparently, I look strong and scary. I often wonder if it’s because we are no longer silenced as our parents were. You started exploring various African hairstyles on @AfrikanKrowns and your own profile on Instagram. How has the reaction been? People have written asking “Do you think I can wear this to a meeting?” Of course! Since its their hair, they can wear it however they want to any occasion. Some amazing and respected women in SA tell me they had their hair braided for a trip abroad because they saw it on me and took a risk which gave them a new sense of confidence. I feel like this is my purpose. If what I am doing is helping other women, I am not going to stop. If by seeing me you also fight and win your battles, issa movement for our beautiful women, which is what I am trying to create. The few people that I reach are enough, it will have a ripple effect. So it’s just fighting the battles of many different and beautiful women and showing society that how we look isn’t illegal. I am fighting for people’s self-esteem, for their confidence, for their true identity and perception of beauty. Some people are still afraid but they appreciate seeing it and are delighted that I am doing it for them. If you can’t rock orange hair I’ll rock it for you. Perhaps seeing it on me is just the push someone needs to take that risk. Why do you do what you do and how do you stay true to yourself in an industry that can force you to betray your compass? Whoever you see me doing work with, knows that we’ve had a deep connection. I’m building slowly towards creating with, and spreading the message among like-minded people. Not everyone is ready but they’ll need to be. How are we going to send a local designer overseas if they are silenced at home? That’s a problem! We need to train each other at home, which is why I’m here for whoever needs help. I know myself and have learned to trust in myself. People approach me with that same mentality because I am very vocal about it. I never keep quiet when I feel strongly about something, even if it means “losing out” on a job. I cannot compromise my beliefs all in the name of being hired. Brands know where I stand because I make it clear. One non-negotiable factor is my hair, nobody goes anywhere near it. I do not compromise when it comes to integrity and self-honesty. It’s all about trusting the process and allowing the right people to come to you. Pitti was such an experience! 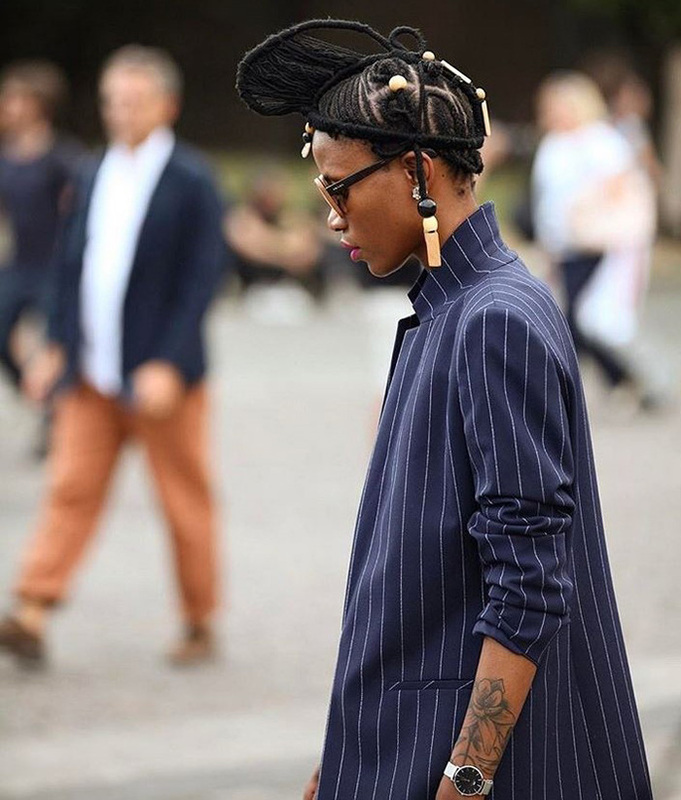 I knew Pitti as a menswear event and Trevor Stuurman suggested we go. I was quite reluctant as first, but one day we casually walked into a travel agency and it turned out flights to Italy were the cheapest they had been in a while. Trevor suggested I buy the ticket and promised to feed me. I then impulsively took my card out and it was a done deal. Initially, I was going to support Trevor, perhaps help him with his photography and stuff. But Pitti turned out to be so much fun with all these immaculately dressed men. There was definitely passion because it was so hot but everywhere men were in suits, it was so fascinating. Sometimes they would have to change outfits frequently due to the heat. Menswear was my first love in fashion and I still incorporate it in my looks, so Pitti was a place for me to experiment with my style. I was almost unrecognisable with all the experimenting. I’m currently working on a hair exhibition and have recently partnered with Dove for their beauty campaign which aims at changing the way we view ourselves as women and improving our general self-esteem. It’s important that we develop and raise confident young women across our continent, thus I am starting with the young girls at home where I grew up and I want that movement to spread across Sout Africa and the continent.